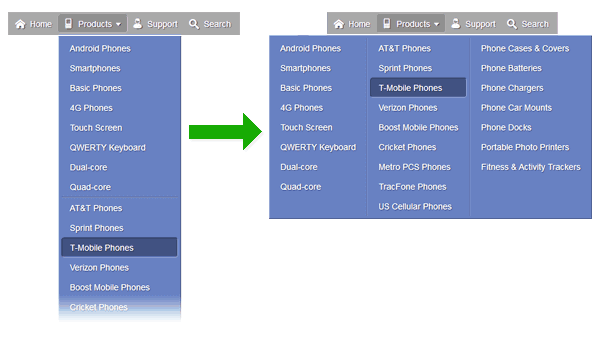 Submenu orientation - specifies the orientation of the submenu. center - sets the center position relative to the parent element. Multi-column submenu - allows splitting the submenu into columns. Enable this option if the submenu is a long list of elements. 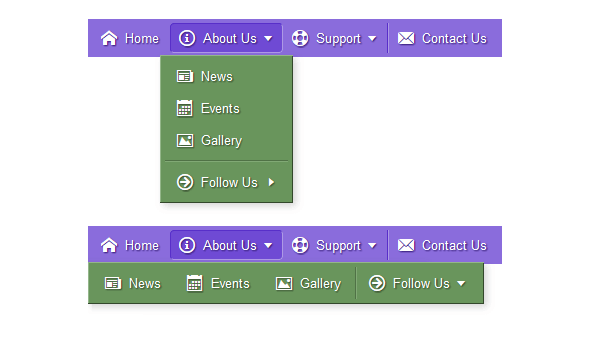 The Column separators option adds a vertical line between each column to make the layout more visually appealing.